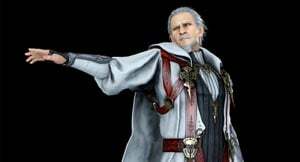 Iedolas Aldercapt is a Character in Final Fantasy XV. Emperor of Niflheim. Iedolas has used the empire’s superior airship and magitek armor technology to mount an aggressive campaign of territorial expansion, only to suddenly offer Lucis a peace. Combat skills and mechanics, roles and strategies go here.